Excellent Herb! I thought that would be an option, but I didn't remember where you bought it. I buy most online things like that from Amazon now because of their instant refund/return policy. I've only had to use it once with a far-east vendor, but I got my refund by click... instantly. Good luck on the next one. I hope it works like most others I've read about. The distributor in Utah has zero good reviews that I've found. Herb we hope will receive your new Silhouette Curio soon. Yes Helmut, I'm using the Model Builder software . I also purchased the Brick Designer complementary software. Of course it is mostly North American oriented but you can take pictures of German doors and windows and import them in your building designed using Model Builder. 6) glue the printed sheet on the mat, introduce the mat in the Silhouette and cut. Question : why do you want to import .svg files into Silhouette Studio ? What about Libre Office Draw ? Missed this group for a while. Returned and found paper cutters section. Getting into myself, see avatar. Mainly freelance prototypes at the moment. I like your website David. Lots to review there. Do you have a pattern for the loco? I probably have somewhere, but filing is not the best!! I have been looking at making models in two ways. First of all to print out the model on a colour printer and then cut out around the print out. the Silouhette software allows this. Second approach is using coloured card and replacing the cutter and plotting out lines on the model. I think these cutter probably started out as a plotter. Plotters for CAD use died out with the arrival of large ink jet printers but seemed to have a second life as cutters. Currently I am investigating the use of glossy photo card. I did not think photocard would produce good models. I have proved myself wrong. Glossy printed coaches at least look pretty good. Web site tends to get neglected over summer, relatively short period in this part of the world. However not having a freezing garage means model making progresses quicker. If anyone is looking to using a cameo cutter this link to a UK model rail site has quite a bit of info. I have contributed a little myself. There is plenty to wade through. Thanks David. Please keep us posted with your progress. Also, we are currently looking for a how-to that starts with laying out a small square and cutting that. This was a test process to see how the cutter is working. I can't find it anywhere. I thought it was in that RM thread that you linked, but I haven't seen it yet. I'm 20 pages into another re-read of that thread now. It is rather a long item on the topic. Possibly better to start from the latest and work backwards. The machines were marketed in the UK for the Craft Greeting Card market but I think the software was a bit much for the average card crafter. The TV seller of this stuff has moved on to a Brother machine that scans and cuts rather than requiring pre-drawn material. For model making though the pre-drawing requirement is probably essential. Personally I always fancied a plotter for CAD drawings but with the advent of ink jet printers they disappeared. The cameo silouhette works brilliantly as a plotter. They sell adaptors to take any pen as well as special pens for the machine. The latter are short fat biros and are useless. However I found that with the adaptors evens cheap pens can work very well. Well, I get to pack up the second Curio, and send it back today. First one was dead as doornail, second has something wrong with the software--would do some things, wouldn't do others. I fiddled with it a long time trying to get it to work--and to see if it was me, or the machine. Going to give it one more try. Starting to wonder if the ones sold through Amazon, are seconds. Deplorable quality control at Silhouette it would seem. Pathetic phone ''help''. Still have plenty of Xacto blades. Did it that way for the last 65 years--might do it that way for the next 65. That is a real shame Herb. I think the company owes you a free machine. Pitiful. I use the term 'dead as a doornail' too, but had to look it up. 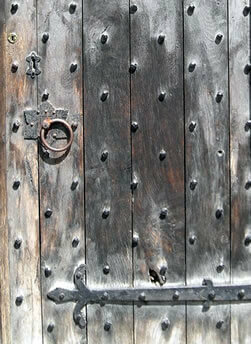 "Doornails are the large-headed studs that were used in earlier times for strength and more recently as decoration. The practice was to hammer the nail through and then bend the protruding end over to secure it. This process, similar to riveting, was called clenching. This may be the source of the 'deadness', as such a nail would be unusable afterwards."